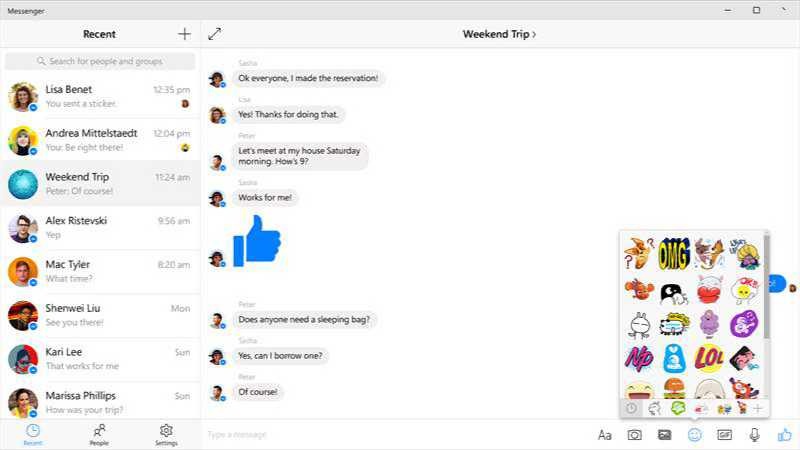 Facebook Messenger app gets a new update version 91.674.16925.0 on Windows 10. The latest Messenger update brings few new features as well as bug fixes and improvements. [New] Improvements in the profile display. [New] New option for emoji. [New] Preview links are displayed correctly. [New] New option to scan the code. [New] Bug fixes and miscellaneous improvements. Create groups for the people you message most—name them and set group photos. You can download Messenger app from Windows Store or from the link below.